For those who have pre-ordered package bees with us, our pick up date is still on for 4/27/19 from 9 - 4 am. This date can change; please continue checking our updates here, on facebook, or phone. 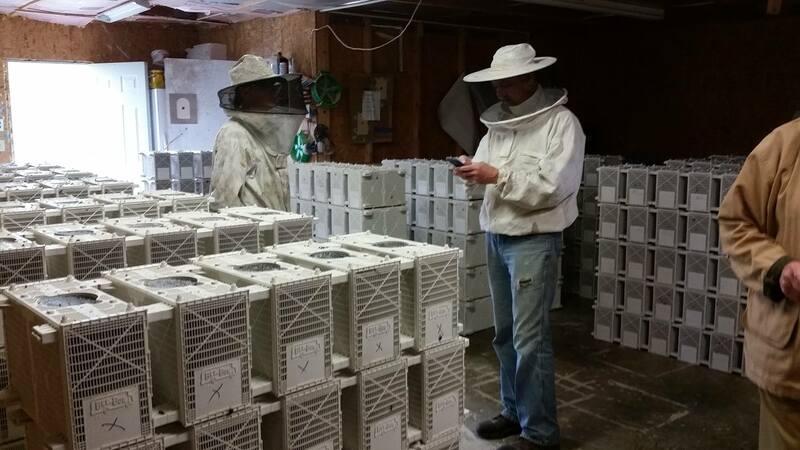 Beekeeping Videos have become very popular. Check out our beekeeping YouTube channel and please subscribe. We are David and Sheri Burns. Beekeeping is a fun hobby. Have you always wanted to be a beekeeper and enjoy your own local honey? Let us help you with all your beekeeping needs. We are located near Fairmount, Illinois about 40 miles east of Champaign/Urbana, Illinois. We carry a full line of supplies and appreciate your business! Sign up for our free newsletter sent to your inbox. These newsletters include information on upcoming classes we offer, information about our packages of bees, beekeeping research, trends and products we offer. Sign up at the bottom of any page here online! Maybe you lost your hive last winter. It can be confusing trying to figure out why your bees died. Now it's time to learn all you can about getting your bees ready for spring by taking one of our spring classes or by using the Burns Bees Feeding System which is great for spring feeding.